Like kimchi tacos or tandoori chicken pizza, sometimes the best things come from mixing two heretofore discrete styles. Play On blends classical music and cutting-edge electronica, creating a surprisingly enthralling musical fusion. This year's series kicks off on March 8 with a string quartet led by violinist Kyla Matsuura-Miller playing a selection of other-worldly drone-based works by 12th-century philosopher, composer and saint Hildegard von Bingen. 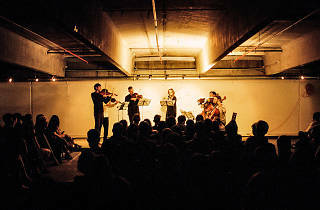 The quartet is also playing American composer Steve Reich's 1988 work for string quartet and tape, ‘Different Trains'. After the quartet, DJ Babicka promises to fill the dance floor with tunes inspired by the first set. The second show on March 15 is a world-first improvised collaboration between classical percussionist Thea Rossen and electronic duo Sleep D.
The final show in this series will feature Chinese Australian Guzheng player Mindy Meng Wang, who plays both traditional Chinese folk songs and her own compositions. Afterwards, DJ Adriana (host of PBS FM’s Opalakia) will play everything from boogie to world music. 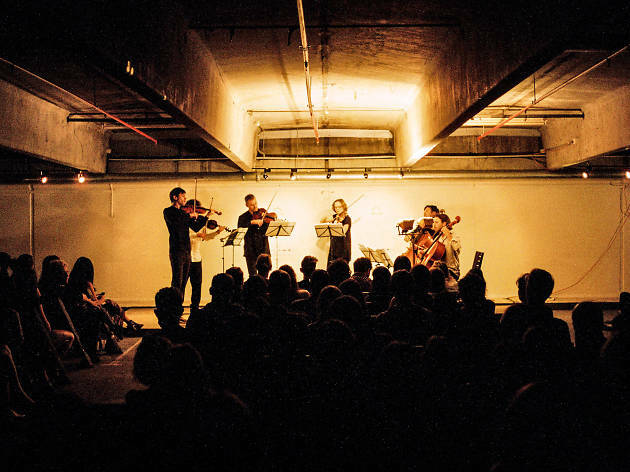 The unconventional concerts aim to showcase up-and-coming musical talent as well as making classical music more accessible to new audiences. Similar events have gone down a storm in New York and Berlin.